This historical novel is set in Rome in the early 4th century AD, during the time of the cruel persecution of Christians under the Emperor Diocletian. 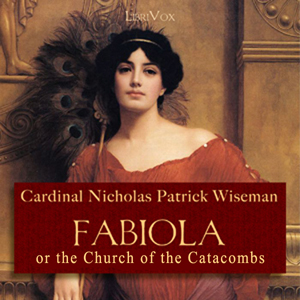 The heroine of the book is Fabiola, a young pagan beauty from a noble Roman family. Fabiola seems to have everything, including a superior education in the philosophers, yet under the surface, she is not content with her life. One day, in a fit of rage, she attacks and wounds her slave girl Syra, who is a secret Christian. The proud, spoiled Roman girl is humbled by Syra's humility, maturity and devotion to her in this situation, and a slow transformation begins. Woven into this fictitious story are a number of martyrdom accounts of real-life Christian saints, including Saint Agnes, Saint Tarcisius and Saint Sebastian.